If you could wear house slippers to work, they still wouldn't be as comfortable as these Timberland PRO 53534 Men's Brown PowerFit TiTAN Safety Toe Shoes. And they sure wouldn't be as stylish. On the outside, these work shoes are all soft brown leather and high sty ... (see full details) (see specifications) #TMBTB053534230. If you could wear house slippers to work, they still wouldn't be as comfortable as these Timberland PRO 53534 Men's Brown PowerFit TiTAN Safety Toe Shoes. And they sure wouldn't be as stylish. On the outside, these work shoes are all soft brown leather and high style. On the inside, they've got all the work-friendly features you want from a Timberland work shoe. Full-grain, all-natural leather is soft and comfortable. The brown leather on these steel toe slip-on shoes is highly flexible, oiled for weather-resistance, and both durable and supple for long-wearing comfort. The lace-free design allows you to slip right into your Timberland PRO TiTAN shoes. The spacer mesh lining in these Timberland PRO shoes is made with an antimicrobial treatment that helps create an airy, breathable fit that reduces moisture. This is part of the ergonomically-designed PowerFit comfort system that regulates your foot temperature, adds moisture-management to prevent sweat, and creates a wider, roomier fit. Impact-absorbing polyurethane midsoles add shock absorption that helps take the pressure off your feet when you wear these oxford shoes. Lightweight nylon shanks add supportive strength to the design, reducing muscle strain. 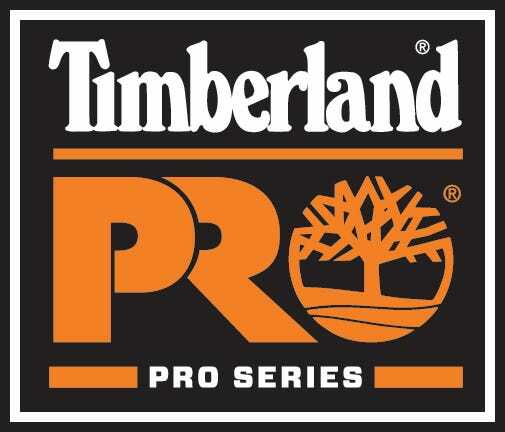 The Timberland PRO 53534 has moisture-wicking Outlast Adaptive Comfort technology footbeds that can be removed at any time for easy maintenance. TiTAN last construction joins the black Timberland PRO rubber outsoles to the design. The soles, made of shock-resisting rubber, are durable and flexible - and very tough. The Slip-resistant tread is made to maintain traction for workplace safety. Oil-resistance helps protect the tough tread from corrosive chemicals while wearing these slip-resistant shoes. Electrical Hazard protection, which safeguards against dangerous open circuits, adds even more protection. TiTAN safety toes (ASTM F2413-05 M I/75 C/75 approved) finish off the work-friendly design. Think there's a chance you won't love Timberland PRO 53534 Men's Brown PowerFit Titan Safety Toe Shoes? The 30 day comfort guarantee says you will - or else. These EH shoes are made for safety, style, and work-strong toughness. So slip into something a little more comfortable before you head to work. I've had 5 pairs of slip on steel toe and I will definately get another pair of these PRO. These have lasted over a year and I am working in dirt and rock everyday. Where other brands have separated at the sole and toe, these have held up. I put a cushion insert in for 10 bucks just to help with wear and tear. In regards to Timberland PRO Titan EH 53534 work shoes, my hunband has found them to be very comfortable. He is an electrical engineer, so the electrical protection is a plus, and he is on his feet all day. He works at a car manufacturer, and walks throughout the day. Even when standing he does not feel pain in his back or legs. (He has previously had a ruptured disc so comfort is ULTRA important!) He orders these Timberlands just big enough so he can wear 2 pair of socks for even MORE cushy support! These shoes are a GREAT product that LASTS, and doesn't break down with wear! Highly recommend to others, especially for the price and free delivery! For me these shoe run 1/2 larger. I normally where 11's and where the Titan EH slip on in a 10-1/2. The shoe not a comfortable as light weight loafers, but more comfortable than your average safety shoe. I am impressed at how well the temperature and moisture management features work. My feet are normally hot in all leather shoes, but these keep my feet comfortable. I would recommend these shoes if you are required to wear safety shoes all day. Timberland PRO Boots: Men's TiTAN Brown Oxford 53534 EH Safety Toe Work Shoes is being added to your cart.